Synopsis: An account executive in a Mad Men world, Anna Wyatt is at a crossroads. Recently divorced, she’s done a lot of emotional housecleaning, including a self-imposed dating sabbatical. But now that she’s turned forty, she’s struggling to figure out what her life needs. Brainstorming to win over an important new client, she discovers a self-help book–Be the Heroine, Find Your Hero–that offers her unexpected insights and leads her to a most unlikely place: a romance writers’ conference. If she can sign the Romance Cover Model of the Year Pageant winner for her campaign–and meet the author who has inspired her to take control of her life–she’ll win the account. My take: I so enjoyed this novel about a woman’s journey to accepting herself for who she really is – not the person she thought she should strive to be in order to be accepted by others (her parents, professors, boss, etc.). Liza Palmer’s story is funny, heartbreaking, poignant, and ultimately uplifting. I think many women will relate to some aspect of Anna’s personal life or career issues. I found her likable and sympathized with her struggles. 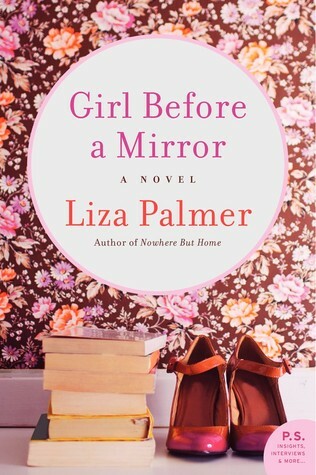 I love the way Palmer tells a story and she didn’t disappoint with Girl Before a Mirror. I liked it all. From Anna’s cheerful colleague, Sasha, to Lincoln, the dashing hero, to Helen, the encouraging and inspiring mentor – they all combined to help Anna figure things out. It’s an entertaining novel that I’ll recommend to friends. 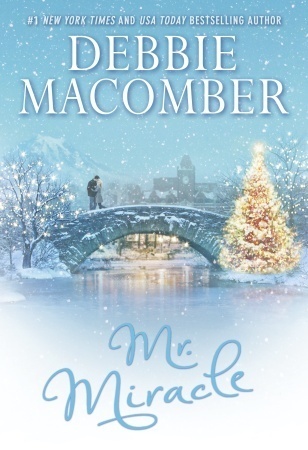 My take: With a nod to Dickens, Debbie Macomber’s new Christmas novel is about the possibilities of new beginnings. Harry Mills (an angel) gets his chance to help some humans going in the right direction. To nudge them along, if you will. He’s a teacher at the community college and chooses A Christmas Carol as the class novel. First up is Addie who has moved home after being gone for six years. She’ll live at her mom’s house while taking the last class needed to get her GED. Then she’ll go to college. What Addie doesn’t expect is the boy next door still being next door. Circumstances have made it so Erich must be there over the holidays. He’s not happy about that and even less thrilled that Addie is going to be involved in his life. Both Addie and Erich have regrets but can they help each other learn from those regrets and move forward? Others who will find themselves getting attention from Harry are Danny who is on parole and must take a class and Andrew, a veteran, and his service dog. Harry has his work cut out for him with his students and his fellow faculty and staff. 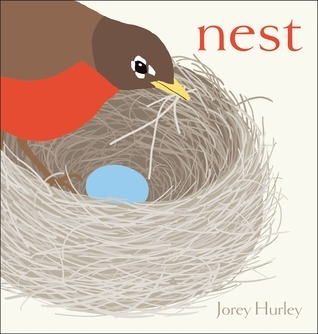 I thought this was a sweet Christmas story but it’s not my favorite by the author. At the end of the book there’s an excerpt from last year’s Christmas book. After you read Mr. Miracle I recommend you read Starry Night. I really liked that one! However, if all you want is a new and fast read (that can be important at this busy time of year) you should look for Mr. Miracle. 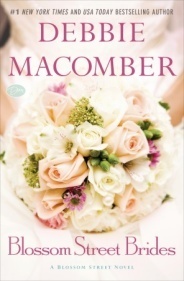 I don’t think you can go wrong with Debbie Macomber. Synopsis: In this enchanting novel set at Cedar Cove’s cozy Rose Harbor Inn, #1 New York Times bestselling author Debbie Macomber celebrates the power of love—and a well-timed love letter—to inspire hope and mend a broken heart. 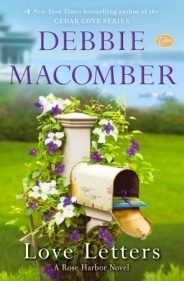 My take: Debbie Macomber’s third installment of the Rose Harbor series involves Jo Marie, the thirty-something widowed innkeeper, who continues to grieve the loss of her husband. She’s also trying to figure out what’s up with Mark, her handyman. This storyline has been in each book of the series and we find out a bit more in this book – but not everything. Guests at the inn are a couple who are trying to get their marriage back on track and a young woman who is going to meet for the first time a young man she met online. Each chapter involves one of the three storylines and made for a fast, enjoyable and entertaining read. You don’t have to have read the previous books in the series but I recommend it. You’ll get a better feel for Jo Marie’s background story. I think this book is the perfect vacation read – it was easy to set down but I always looked forward to picking it back up. I’m eager to read the next book in the series (and not just because there was a bit of a cliff-hanger). 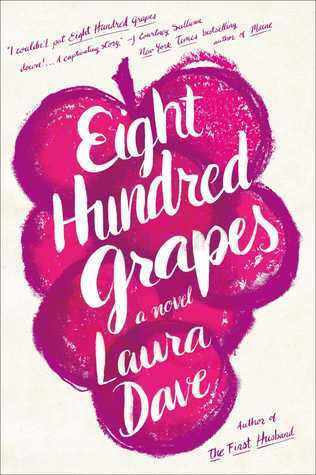 Recommended to fans of Debbie Macomber and contemporary, small town fiction. Synopsis: Still Life with Bread Crumbs begins with an imagined gunshot and ends with a new tin roof. Between the two is a wry and knowing portrait of Rebecca Winter, a photographer whose work made her an unlikely heroine for many women. Her career is now descendent, her bank balance shaky, and she has fled the city for the middle of nowhere. There she discovers, in a tree stand with a roofer named Jim Bates, that what she sees through a camera lens is not all there is to life. My take: Rebecca Winter, famous for a serendipitous photo series years earlier, recently won a prize for her photography that generally means she’s “old news” in the art world. She now rents out her New York City apartment and lives in a tiny and dilapidated cottage in the woods so that she can afford to pay her father’s rent, her mother’s nursing home bills and occasionally send her son a check. Rebecca hears animals in her roof above her bed every night and one day meets Jim Bates, a roofer several years her junior. He takes care of the animal issue and eventually becomes a friend. They are charmingly awkward around each other. As Rebecca hikes the woods she discovers what look like memorials – the kind you’d see along the highway. These are white crosses with mementos of a girl’s youth. Rebecca photographs them not knowing their actual meaning and origins – and the result is a new photography show. What will happen when she learns the truth behind the photos? I loved this book and I loved Rebecca. She needed to step away from her life to find out if that was the life she wanted to define her – to find out if there might be more in store for her. The first half of the novel quietly built up to the point where I couldn’t stop reading. The characters are beautifully developed and achingly true. I know I’ll be thinking about Tad and Sarah and Jim and Rebecca for a while. 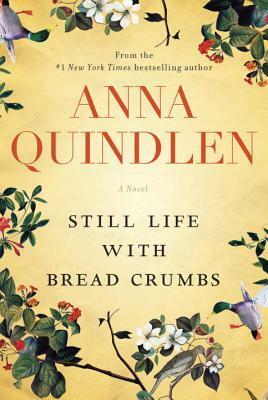 True Life with Bread Crumbs would be a wonderful selection for book groups.